The Heritage Skills Centre has been awarded the SCALA (Society for Construction and Architecture in Local Authorities) National Award in the best small project category. The highly sustainable Heritage Skills Centre is set in the heart of Lincoln Castle and posed significant complexities for the site team. The build was documented through several mile stone videos which can be seen on YouTube by searching for Robert Woodhead Limited Heritage Skills Centre, or clicking here. The project was one of 70 shortlisted for the national award. The judging involved applying robust selection criteria to establish a winner including the judging panel visiting each project. The Heritage Skills Centre was one of only 6 category winners on the night. Lincolnshire County Council, Building contractors Robert Woodhead Limited and the architects Arrol and Snell attended the ceremony held in Bristol. The awards seek to celebrate the cream of public sector architecture and construction. The Heritage Skills Centre has received acclaim from professional bodies locally and nationally. This most recent award takes the project to a grand total of 5 industry awards to date. 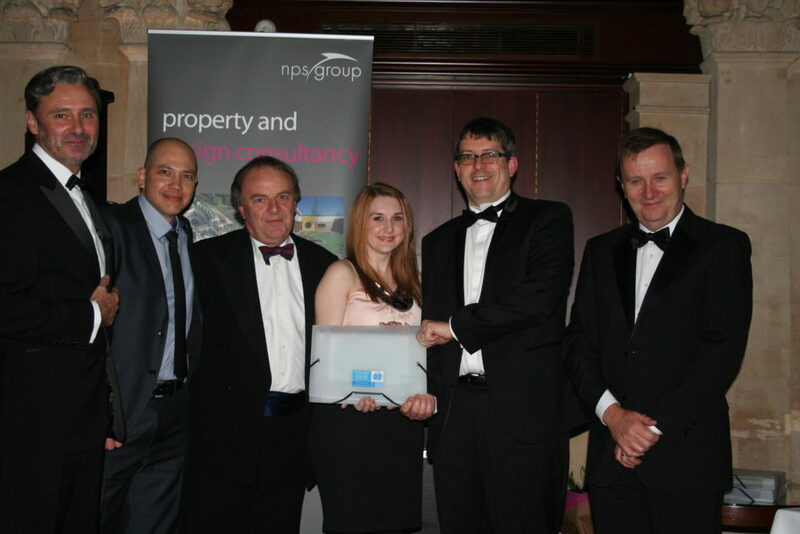 Pictured: Rob Green, Dirk Van Rensburg, Andrew Arrol (Arrol and Snell Architects) Jessica Marshall (Lincolnshire County Council) Glenn Slater (Robert Woodhead Limited) Mike Britch, MD of the NpS Group, sponsor of the Award.